It’s time to sow heat-loving summer crops and this year I’ve sown some angled luffa. Luffas are mostly grown for their fibrous fruit used to make bath sponges. 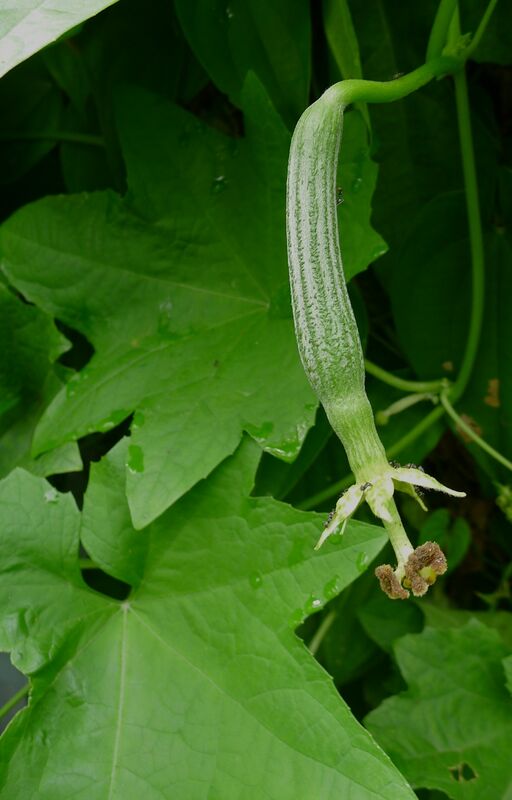 They may resemble sea sponges but this is a vegetable, a curious member of the Cucurbitaceae or cucumber family. Two species are grown: the smooth luffa, Luffa cyclindrica, which I’ve grown for many years, and the angled luffa, L. acutangula. In Asia they’re known as dishcloth gourds and are used for scouring pans and picked for food. Young fruits that haven’t developed a hollow centre can be cooked like zucchini or pickled like gherkins. The flowers can be added to salads and the tender shoot tips can be added to stir fries. 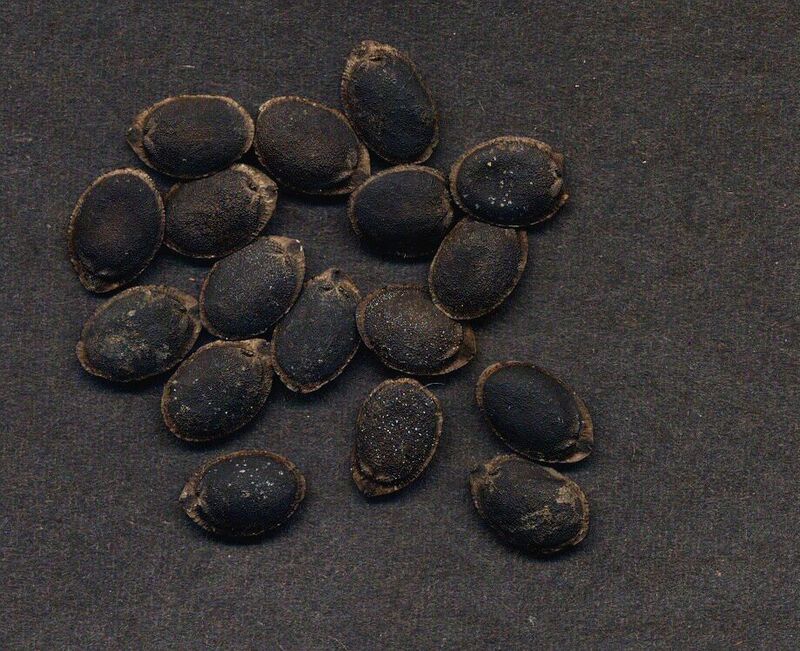 The seeds too are edible but beware: they’re used as a laxative, like senna pod. In western countries luffas are used for exfoliating skin and are gentle enough for people with psoriasis or eczema to use without irritation or abrading the skin. It’s thought that they originated in India, but they’ve been widely grown for so long it’s hard to know for sure. They’re easy to grow, warm season climbers and can be vigourous in wet, tropical climates. In Tasmania grow them in glasshouses for best results. 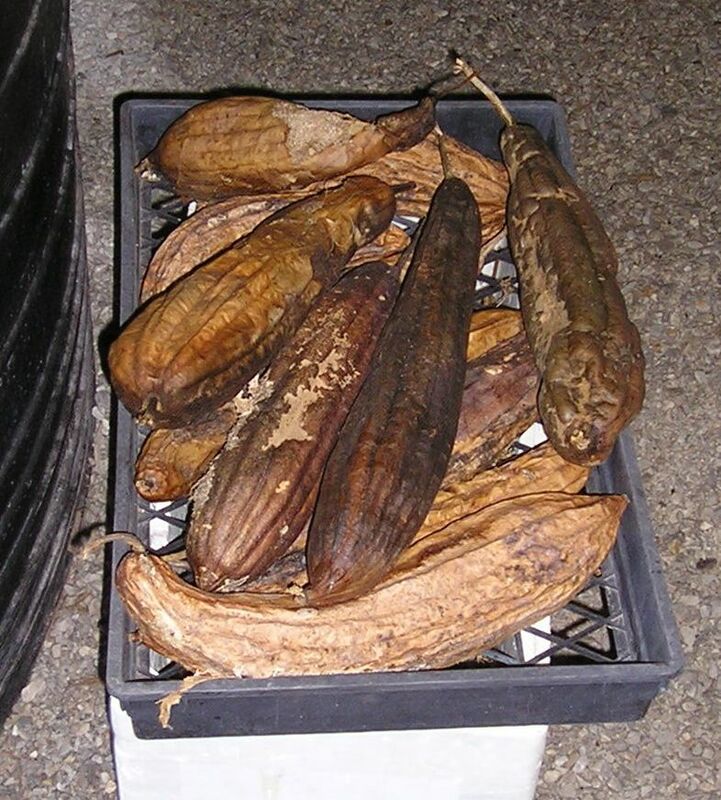 You can get luffa seed from mail order catalogues and The Seed Savers Network. They are annuals, reliably producing seed in quantity, and this is easily saved for future crops. Buy one packet and you never need buy luffa seed again. Luffas like fertile, freely draining, moist soil and full sunshine, just like zucchini and pumpkin. 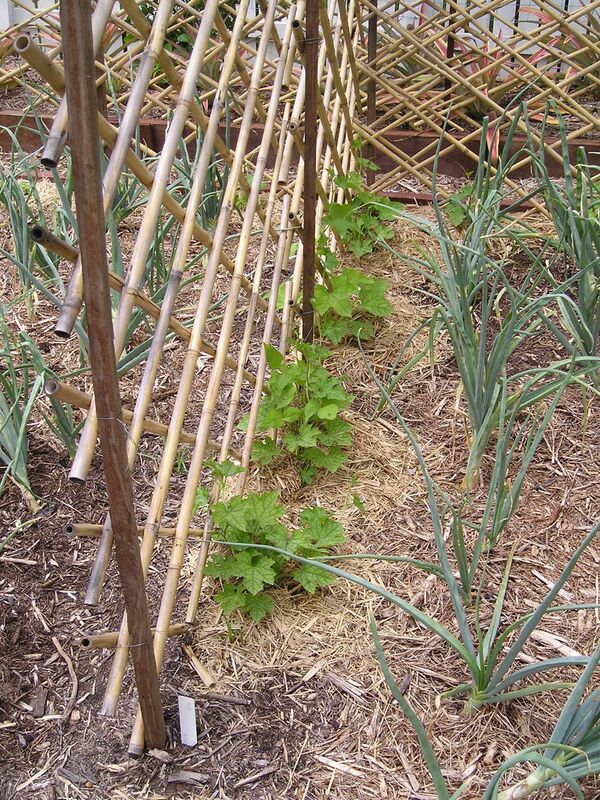 You’ll need a sturdy support, something like a fence that allows them to twine their climbing tendrils around. A sturdy support is important, because mature fruiting vines become heavy in wet weather. Sow seed individually in 150mm pots in spring (after all chance of frost has passed) then plant as soon as pots begin filling with roots. In warm temperate to tropical climates they can be sown directly in prepared soil. Create a mound of well-dug soil that has been enriched with aged manure or plenty of compost. This encourages water to drain away from the base of plants, helping to prevent root rots which are more likely if you garden on heavy clay soil. Avoid using fresh manure, which can burn stems and roots. Sow or plant in the centre of mounds. Mounds should be about 100-150mm high and plants should be between 0.75-1m apart. When the first shoot reaches the top of the support, pinch out the tip to stimulate multiple side shoots. Tie or train these to cover the support. Flowering begins in summer, each flower closing by midday. 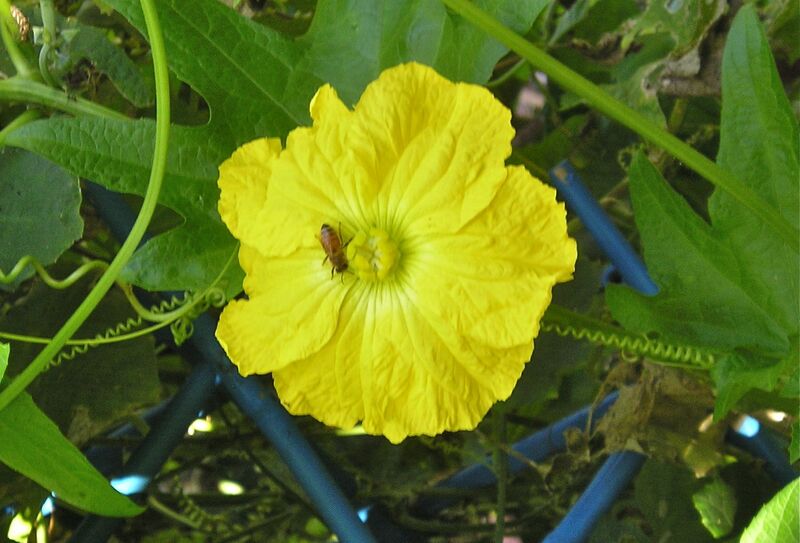 Luffa flowers are the only thing I’ve grown at Bellis that seem to attract the strong-flying native Carpenter bees into the garden. These insects are so beautiful it’s worth growing a luffa just for them. Try using luffas as temporary screens to hide unsightly buildings. Grown on horizontal supports or a pergola, luffas provide shade and their pendulous fruit are decorative. Unlike most cucumber relatives, luffas occasionally suffer from powdery mildew and caterpillar attack, mostly in autumn as growth slows. Plants must be watered regularly, sometimes daily in really hot, dry, windy weather. Water during the day so foliage is dry before night – damp foliage is mildew-prone. To control this disease, spray weekly using one part organic milk to ten parts of water. Wet all parts thoroughly. Various caterpillars can attack plants, stripping foliage. Quickly and safely control them by spraying with horticultural soap or spraying with Dipel, which contains Bacillus thuringensis. Wet all parts thoroughly. 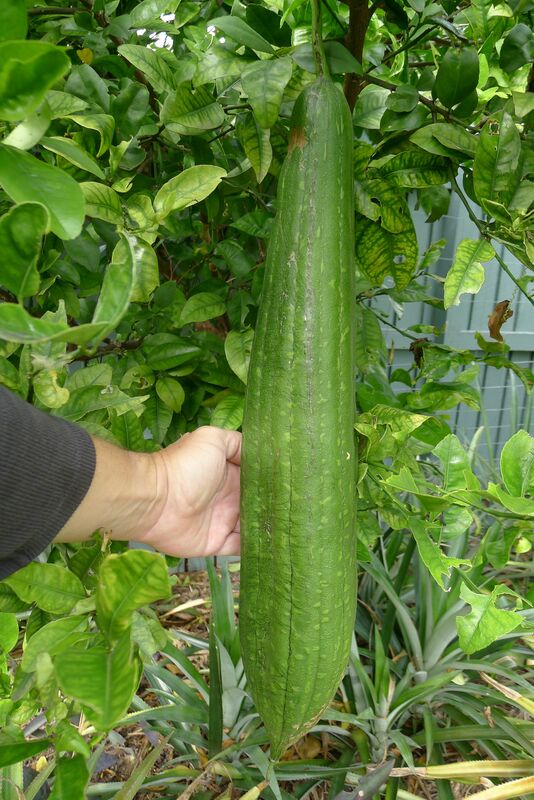 Zucchini-sized fruits have solid centres that can be cooked or pickled. As fruits mature the centre quickly expands, becoming soft, spongy, seedy and inedible. To test if they’re edible, gently squeeze fruits. The solid centre is easily detected. Fully grown luffas – and size varies according to conditions – can be between 25 – 50cm long. Picking encourages further fruiting. Commercially, luffas are ‘retted’, that is, soaked in water to accelerate the rotting of the flesh and skin. At home all you need is somewhere warm, dry and airy. It can take two to four weeks, depending on climate, for them to fully dry. Crumble off the skin and shake out the seeds. Seed stores for five years or so if kept in an airtight container somewhere dark and cool. Use hydrogen peroxide or household bleach for the ivory-coloured finish of shop-bought luffas.